Super-fast website speeds are a priority at CuroHosting. This is why we have decided to make a move to the premium service of LiteSpeed. Read on to find out why. Developed in 1995, Apache has been a much-loved technology and the industry standard for years, offering a free way to deliver websites to customers on web servers. Although Apache has developed a great deal over the years our research and testing has shown that this upgrade will provide a much faster, secure and reliable service moving forwards. What is a LiteSpeed Web Server? LiteSpeed was created to rival Apache. It is compatible with all Apache features as well as being able to load the Apache configuration files. Check out how LiteSpeed features perform against its competitor Apache and other leading web servers. LiteSpeed is what’s known as a proprietary web server software that has the same configuration as Apache. It uses a uniquely event-driven architecture to create a high-performance, high-scalability web server that focuses on high speeds. LiteSpeed is compatible with most of leading hosting panels includes Plesk and cPanel. “We want the best speeds for our customers, the same goal as major search engines and website users!” Jamie, CuroHosting. Each of our web servers runs 24 cores which means LiteSpeed does not come ‘cheap’. But, we see this as a necessary investment, and we are delighted to be rolling out this technology to our clients. We have also added the WordPress LiteSpeed caching plugin for the absolute best interaction with LiteSpeed web server. Having this feature enabled ensures the best communication between the website and the LiteSpeed web server. A plugin is available for installation into WordPress which is very easy and interacts with our Litespeed server. If you are a customer of ours, you can download the latest LiteSpeed plugin to work with our LiteSpeed web servers here. 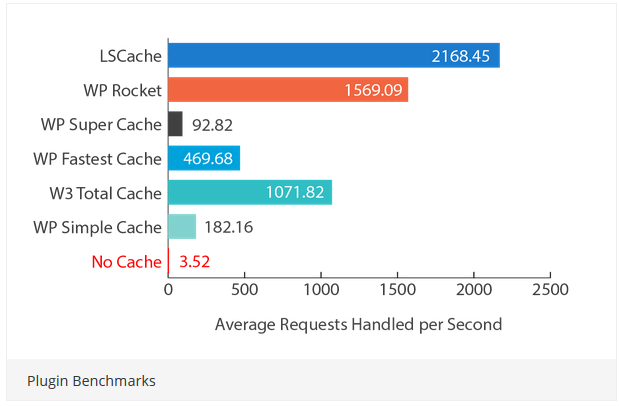 The benchmarking of the LiteSpeed cache plugin compared to standard WordPress cache plugins can be seen below in an image courtesy of WordPress. As always, if anyone has any questions about the services we provide or about LiteSpeed itself, please feel free to open a support ticket or give us a call. CuroHosting offer Managed WordPress Hosting services to all WordPress users. WordPress sites hosted by CuroHosting are fast, secure and up-to-date.